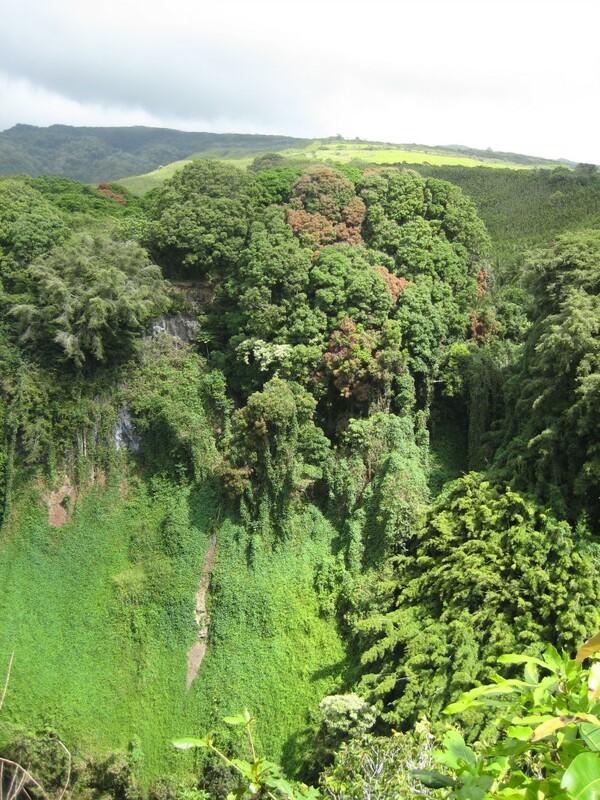 Celebrate 4/22/11, Earth Day, by coming with me on a hike up the Pipiwai Trail, above The Seven Sacred Pools in Hana, Maui. 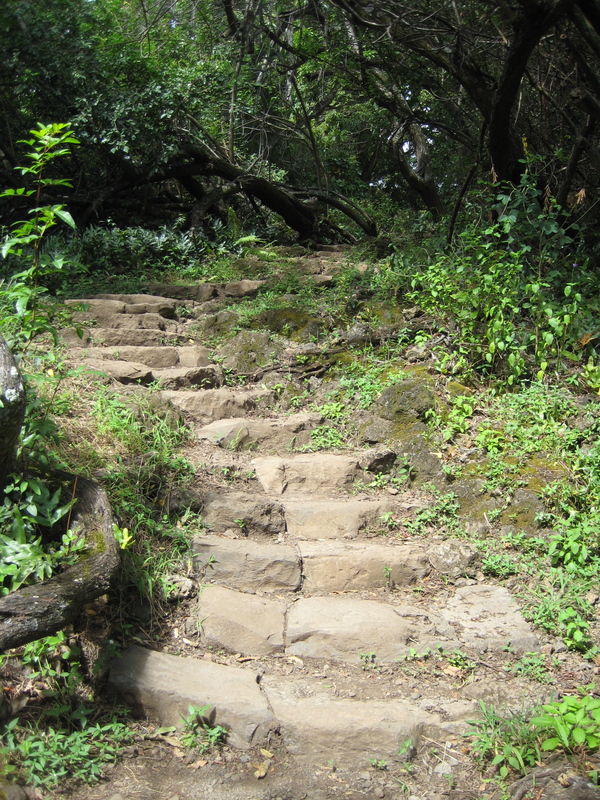 Follow the path through the woods and grasses, and occasionally wander off to look across the gulch. From mountain to the gulch below, the Mother displays her breathtaking beauty. 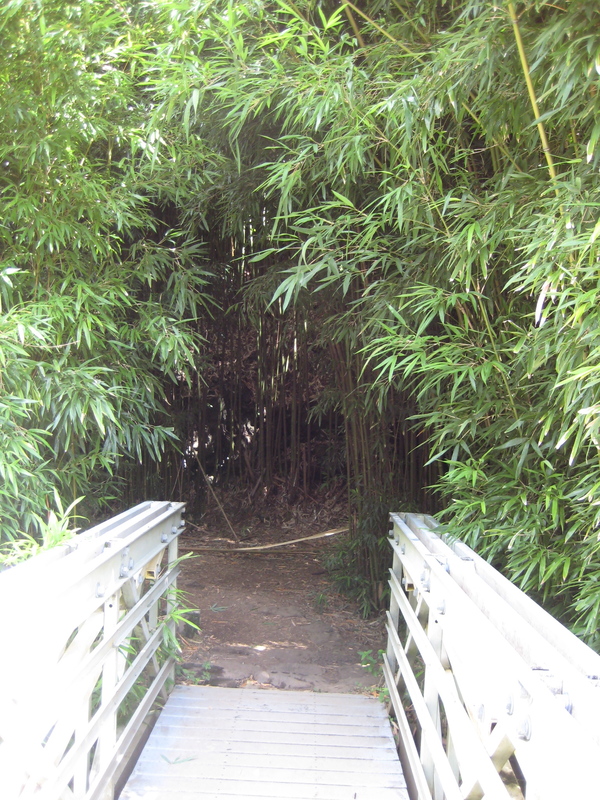 Back on the trail, there are bridges to cross, and then it is time to enter the forest of Golden Bamboo. 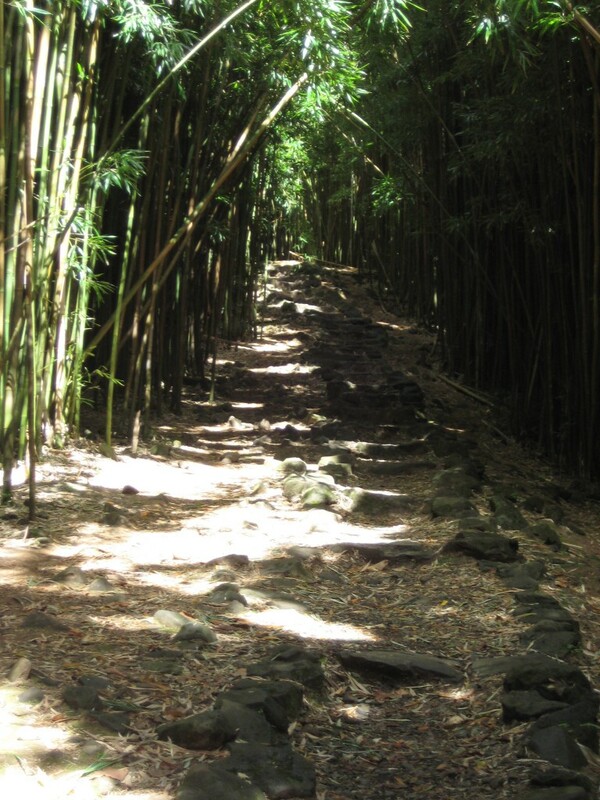 Take a breath as we leave the hot sun and the wind behind, and step into the deep insular womb of the bamboo forest. Pause here to taste the welcome coolness of the bamboo forest and to hear the gentle creaking of its stalks. Listen to what it may whisper to you in the stillness, as the dappled sunlight dances with the dark. Tomorrow, we will arrive at the top of the Pipiwai Trail and celebrate our appreciation of Mother Earth.